Whether you need just few touch-ups or would like an amazing dental makeover, cosmetic dentistry can provide exactly the look you want. 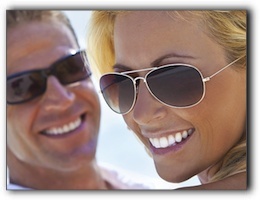 Cosmetic dentistry has both therapeutic and aesthetic benefits. Treatment can repair your teeth and correct your bite, and at the same time give you the gorgeous smile you’ve always wanted!